Today we finally get to spill the beans and tell the huge secret we’ve been keeping since this summer. 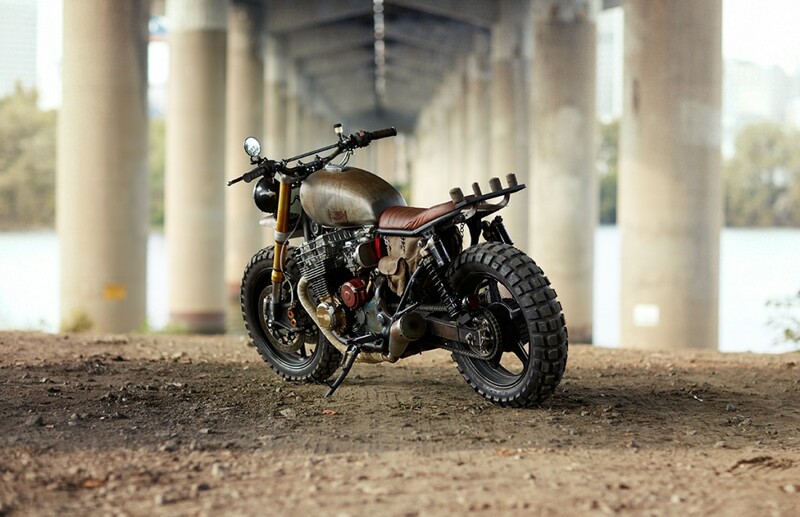 WE BUILT A NEW MOTORCYCLE FOR DARYL DIXON ON “THE WALKING DEAD.” Two bikes, actually. Now we can die happy. Through a series of mind-blowing events, our little Classified Moto team was tasked with designing and building a new bike for one of the greatest characters on what we think is one of the greatest TV shows of all time. Inconceivable. How do I even begin to recap this outrageously gratifying experience? Well, it all starts with an email from the intensely talented actor Norman Reedus. He wanted us to build him a personal bike, and despite us being a bit star-struck we managed to pull ourselves together and deliver a gnarly Classified XV920R. We got to know Norman over the course of the build and after, and one day I got a text from him. I’m paraphrasing, but it said something like, “I’m working on something you’re going to love.” WHAT? What did he mean? Turns out it meant he had been talking about us to “The Walking Dead” showrunner and executive producer Scott M. Gimple. And the subject was a new motorcycle for Norman’s character Daryl Dixon. Norman introduced me to Scott by email, and in very short order we were officially building bikes for our favorite show. My mind was officially blown. Scott and I talked and he laid out a storyline that would put Daryl back in the saddle. [For those of you who haven’t watched the show yet, the character of Daryl Dixon is a crossbow-wielding outsider badass who used to ride a chopper on the show.] Scott’s description painted the picture I needed to get rolling on the design. The process was a designer’s dream — an unbelievable assignment and a client with a shared aesthetic sense. Two thumbs up. Once the overall design was approved, we worked closely with two guys whose names we see in the opening credits every week — Tom Luse (Executive Producer) and John Sanders (Prop Master). Very calmly, Tom kept the ball rolling and got us answers to our 50 million rookie questions throughout the build. John gave us specific input on what would be demanded of the bikes during shooting. The main directive was to make both bikes run perfectly — i.e., go and stop safely like they’re supposed to, and start up every time without crossing your fingers. We chose a pair of 750cc Hondas from the ‘90s because we’re really familiar with them and knew we could get parts easily. We’ve built a lot of customs based on this model, so for us, it was the smartest choice given the timeline, the mods required and the need for extreme reliability. Visually, Scott’s goal was to make the bike look like it was made from pieces of lots of different makes and models. We were psyched because that’s what we like too. To that end, we paired one of our sport bike front end swaps with the older classic bike. We painted the engine components to look like they were collected and cobbled together. We used big knobby dirt bike tires for good off-road handling and a super aggressive look. We upgraded the rear suspension as well. So even though the bike looks like it’s been through battle, beneath the scars is a $1000 pair of Progressive shocks that ride like a boss. One of the coolest features is the bag that fits under the seat of the bike. It was introduced to add some visual weight to the bike after we stripped all the unnecessary parts off. By relocating a few components and using a tiny Shorai Lithium Ion battery, we created a big void under the seat where Daryl can keep his bag of tricks — an ancient looking military style waxed canvas bag custom made by our buddy Roy Baird here in Richmond. It’s removable and fully functional. And it was just one of many unexpected fun challenges of the project. Well, our next blog post will cover all that good stuff and more. PLUS, it’ll recap more of the build process including our big trip down to Georgia to deliver the bikes on set. Meanwhile, check out Chris Hunter’s story on BikeEXIF.com for more details. By the way, this whole website is newly redesigned by our buddy Neil Cox and features tons of great photography by the great Adam Ewing. For all you returning visitors, the GALLERY and STORE are all full of newness. Check it out. Stay tuned for more on this and other projects. Now we must go make sparks fly.